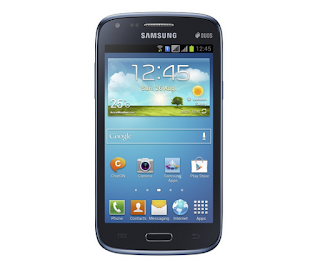 Samsung announce the Galaxy Core: Another handset on the mid-range with dual-sim support. Sometimes we simply love the things which Samsung produces, other times we're left to ponder why. In this case we're going with the latter of those two scenarios as the guys from Korea have announced the Galaxy Core. It's a mid-range device which will get lost in the sea of phones which the company has created. The internals might be up more people's street though and we think the main selling point will be the dual-SIM support which the phone will arrive with. Other then that it's a decidedly mid-range affair with a 4.3" WVGA, that's 480 x 800p display, a 1.2GHz dual-core processor which is currently unspecified, as well as a 5MP camera on the back and the whole thing is running Android 4.1 Jelly Bean. That version of Android is tucked away under Samsung's Touchwiz skin which will offer you Smart Stay, S Voice and Smart Alert amongst other things! The dual-SIM version of the phone will land this month, but the single-SIM option will only be available from July. 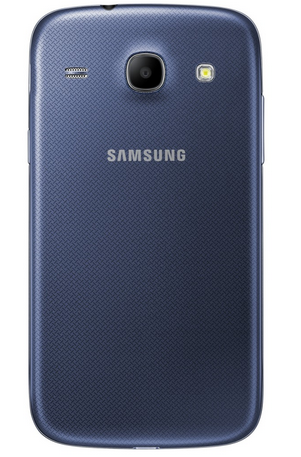 Samsung didn't confirm where this phone would arrive, but Asia will be a certain and Europe seems quite likely too! What do you think about this phone? Does it need to exist or is the target market covered by Samsung's extensive range already? Let us know your thoughts in the comments below!